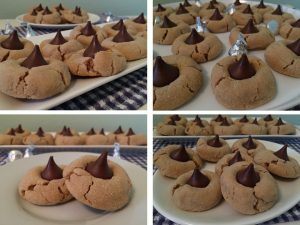 At Christmastime there are cookies I make every year because they are everyone’s favorite. 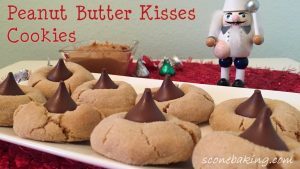 Today I am sharing my recipe for one of my daughter’s favorite Christmas cookies, Peanut Butter Kisses Cookies. 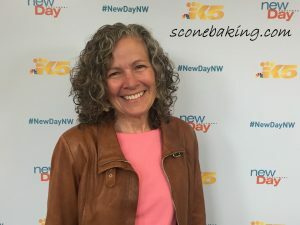 Preheat oven to 375º F. In a large bowl, cream together butter, peanut butter, brown sugar, and 1/4 cup granulated sugar with an electric mixer on medium-high speed, until light and fluffy (about 5 minutes). 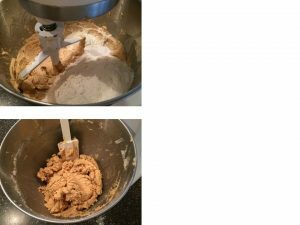 Add egg and vanilla extract to peanut butter mixture, until well blended. 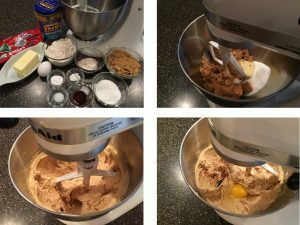 In a small bowl, mix together both flours, baking soda, baking powder and salt; add to peanut butter mixture, beating on low speed until blended; then on medium speed until well blended. 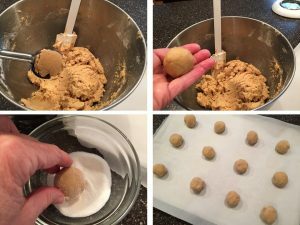 Using a #40 cookie scoop, or 1-1/2 Tbsp, shape dough into 1-1/2″ balls; roll balls in 3 Tbsp granulated sugar. 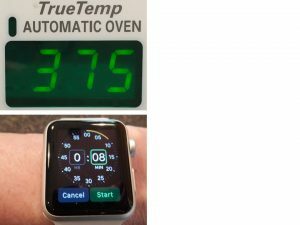 Place 2 inches apart on a parchment lined baking sheets. Bake 8 to 10 minutes at 375º F, until light golden brown. 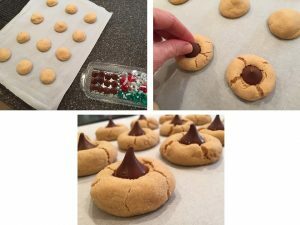 Remove cookies, with parchment, from baking sheets to cooling racks. 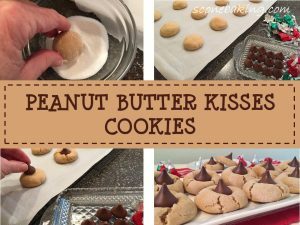 Immediately top each cookie with a candy kiss, carefully pressing firmly down. Let cool completely.